Families visiting the Bowling Green and Mammoth Cave, Ky. area often pass right by the landmark yellow dome and red spire of the National Corvette Museum because they assume there’s not much in the 115,000 square foot facility to keep young children entertained. Well, think again! The brand new KidZone exhibit opened yesterday and promises loads of fun and educational opportunities for children. 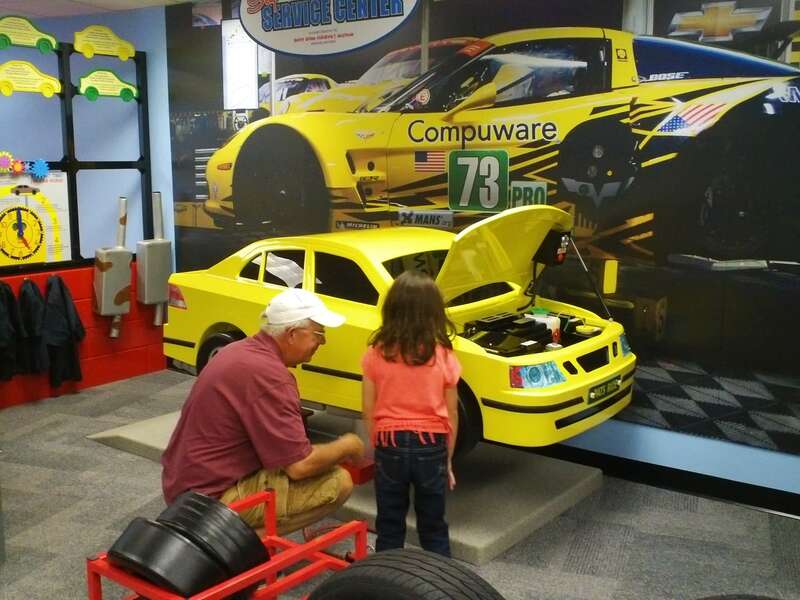 Featuring several hands on activities, both through exhibits and with on-going daily specials, the KidZone encourages kids to touch the cars unlike those on display in the Museum! Little mechanics will love working in the Super Service Center where children can step into a pretend auto shop equipped with all the tools they need to perform maintenance on a kid-sized car mounted on a lift. The exhibit’s hands-on activities encourage cooperative play and stimulate the development of fundamental skills in young children. Children also will have fun sorting, matching and problem-solving as they select tools, replace parts and fill work orders. Working with other mechanics encourages positive social skills, and the exhibit’s activities help enhance fine and gross motor skills. Other activities include an automotive assembly line. Working with a team, you must develop a strategy for supplying parts, assembling the vehicle and inspecting the work. An electronic display monitors your progress. Admission to KidZone is included in the general NCM ticket price.